Nevco indoor and outdoor Video Displays are available in any size for any facility. Instant replays, video messages and animations capture the audiences’ attention! Nevco video displays are very affordable no matter the size of your facility, and you will have the crowd’s undivided attention with a simple push of a button. With Nevco’s state-of-the-art control room options and software, you can offer your fans live video, instant replay, real time statistics, important messages and sponsor information. 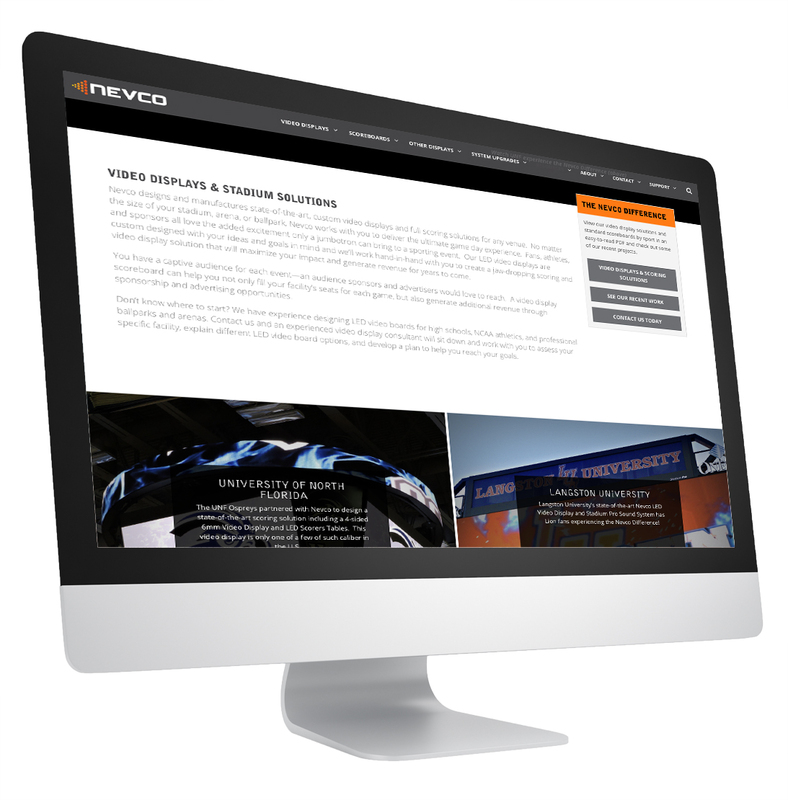 Contact us to have a trained and experienced Nevco consultant walk you through our comprehensive, time-tested approach for designing and implementing your video display solution. Transform your venue into a “true sport and entertainment” centre with Nevco Video Displays.